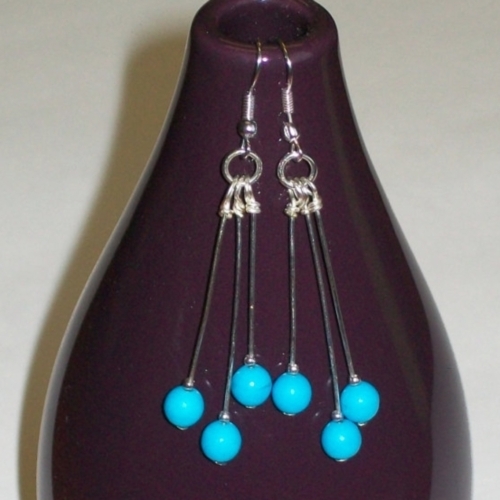 Elegant long dangle earrings handmade using three turquoise beads each suspended on a wire post. 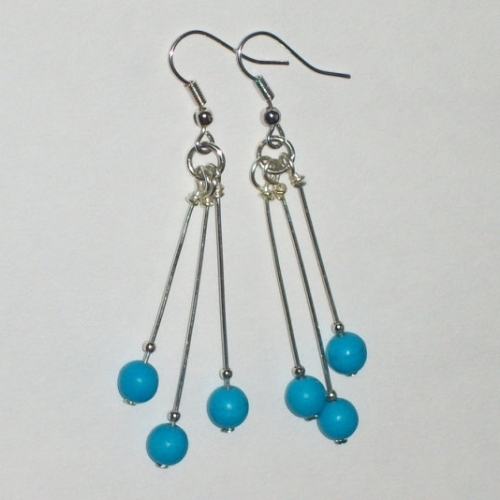 Hook style earring wire. 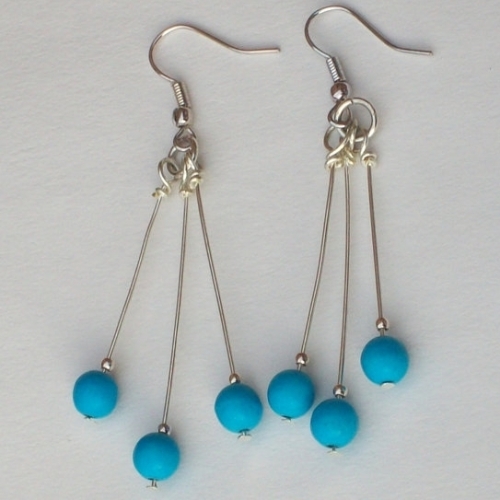 The earrings are approx 7cms including earring wire. Handmade using anti-tarnish silver plated copper wire. Nickel free.